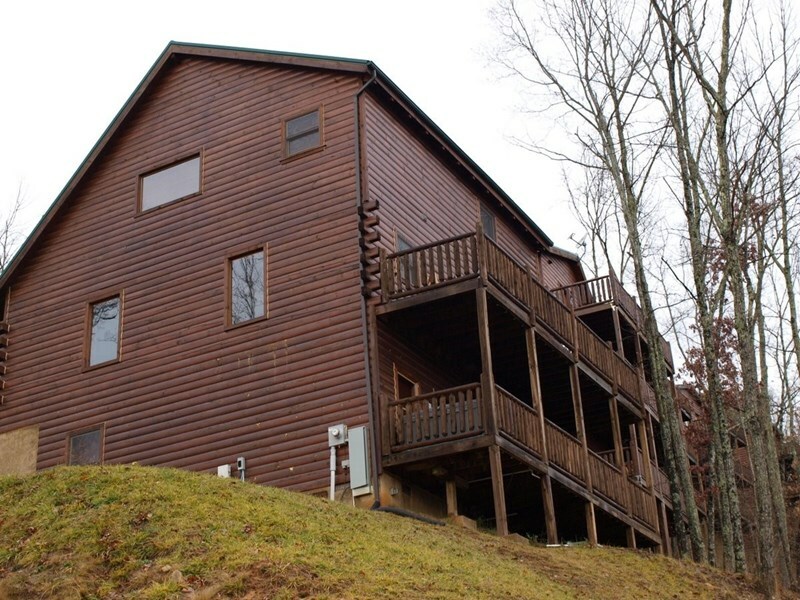 Near Dollywood/Smoky Mountain 5/3 Cabin W/HD Theater/Arcade/Mtn View. 30' Ceilings. Wall of Windows. Multi Large Decks for Mountain Viewing! Upper Main Deck. Views! Rockers. Picnic Tables. 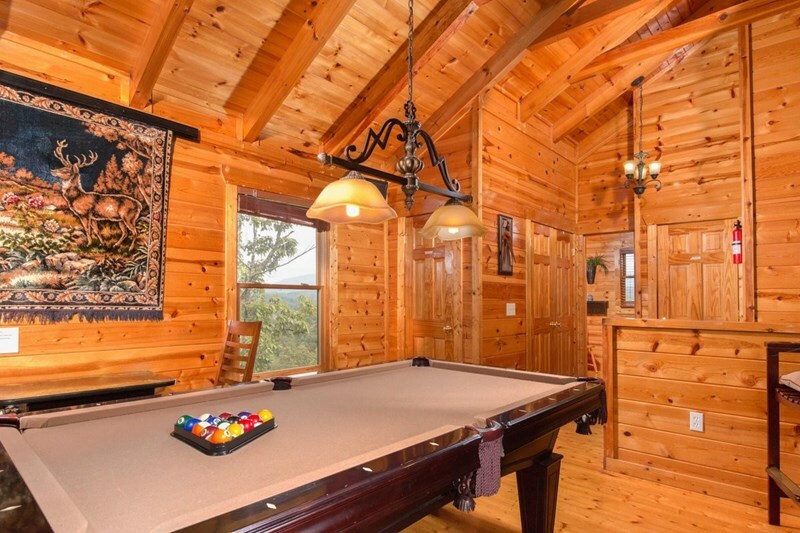 Billiard Room overlooks LR + VIEWS! VIEWS!! Huge Upstairs Master w/sofa and adjacent bath. Theater Room. HD. Sony Superior Sound. Queen BR Lower Level. 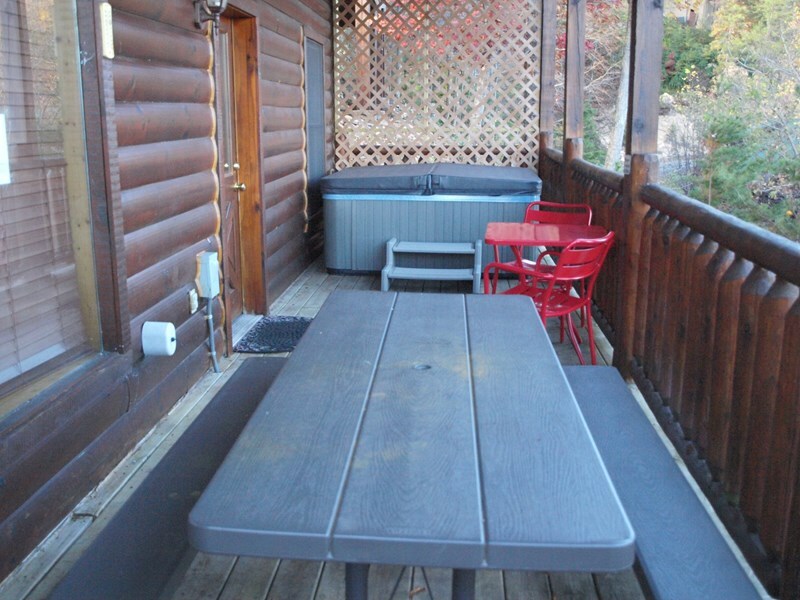 Hot Tub and Deck Access! 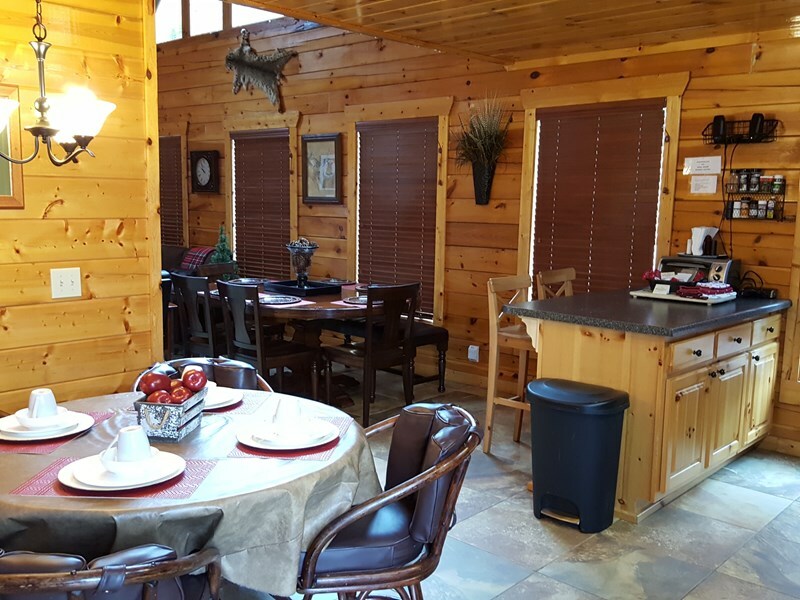 Moonstruck Lodge is a spacious luxury 5 bedroom, 3 bath log cabin that will sleep max 10 guests! 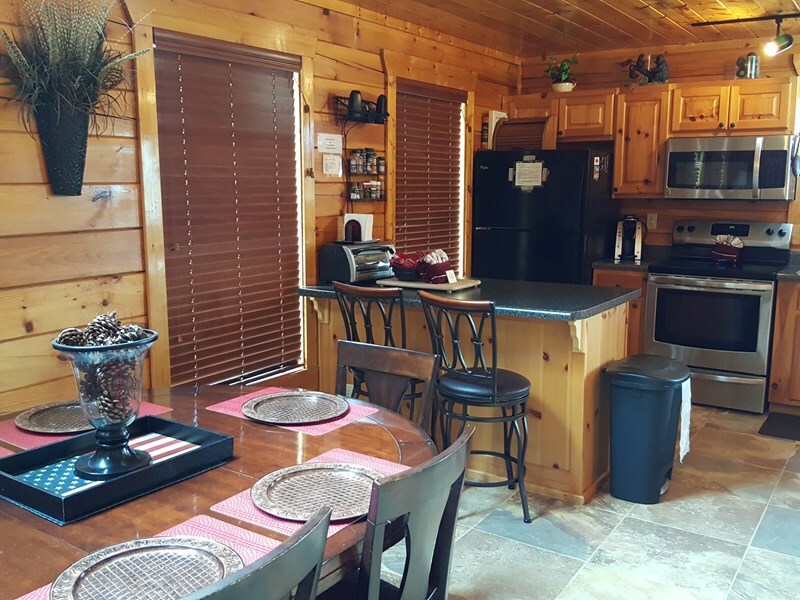 It is ideally situated, 4 miles from Dollywood and 10-15 minutes from Gatlinburg and the Great Smoky Mountain National Park. 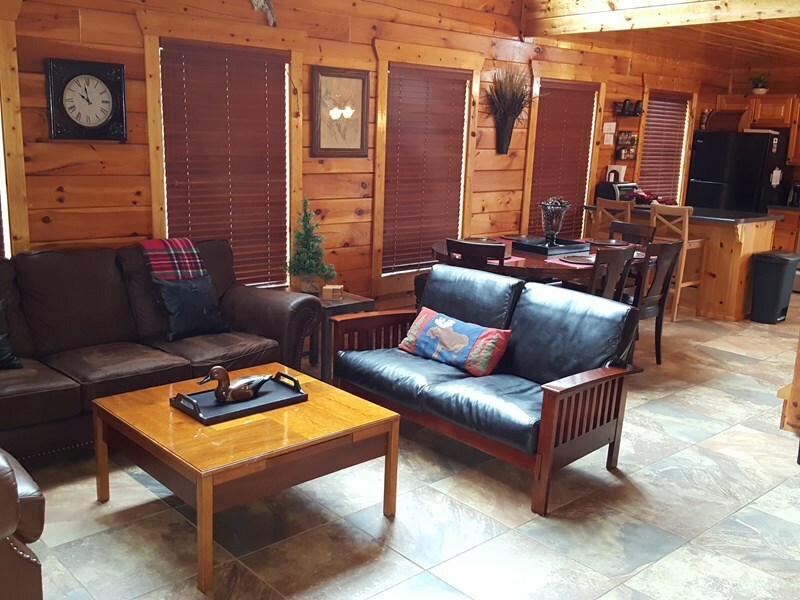 It is the perfect place for your family reunion, church retreat, couples getaway, or anniversary celebration to create memories to last a lifetime. 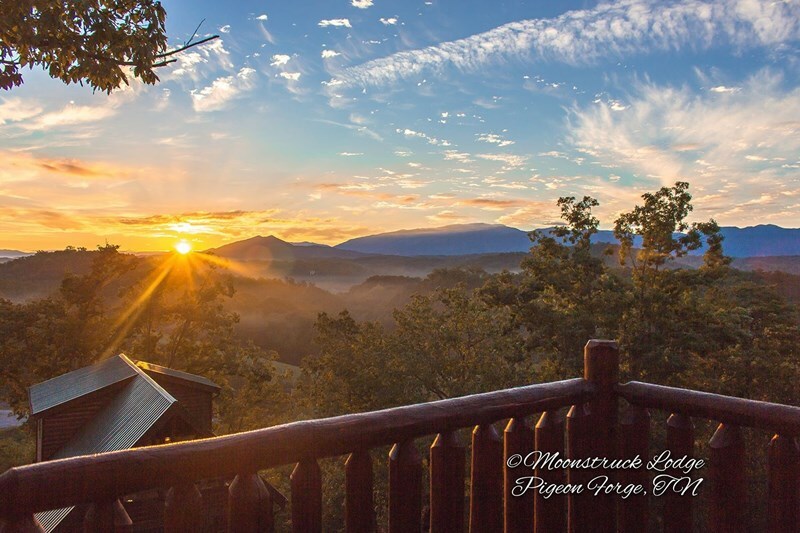 Moonstruck Lodge is a great place to relax and unwind. 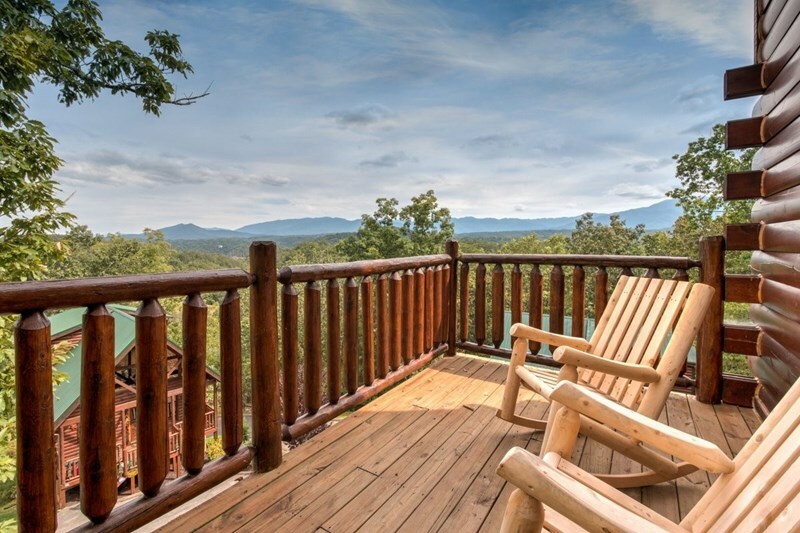 Sit on the porch or decks in a rocking chair and enjoy the incredible views. Watch a movie in the state-of-the-art Sony Bluray theater room, or play pool. 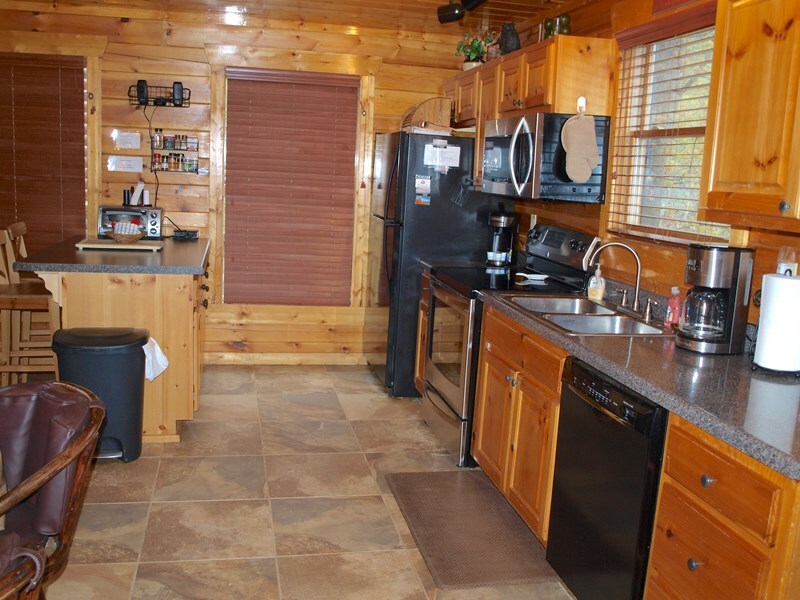 Enjoy your favorite game on one of 7 flat screen HDTV's. Relax in the hot tub, or soak in the indoor jacuzzi. 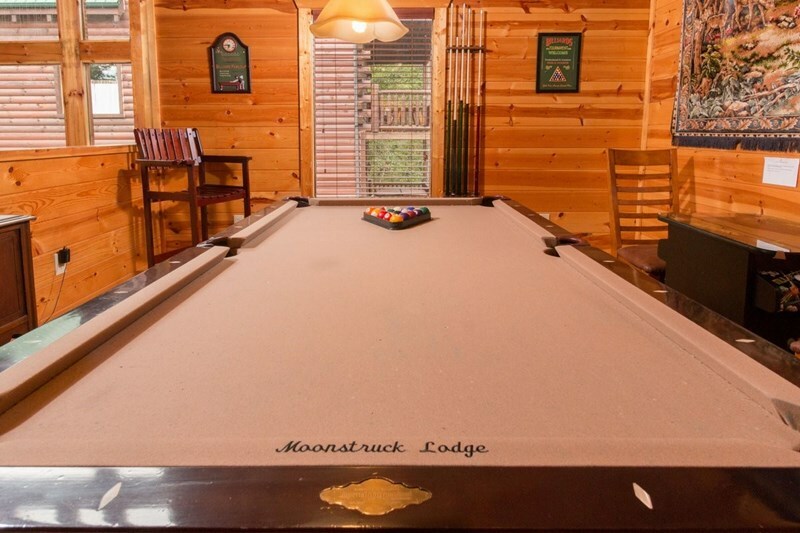 Welcome to Moonstruck Lodge! Cathedral ceilings open into a living area. 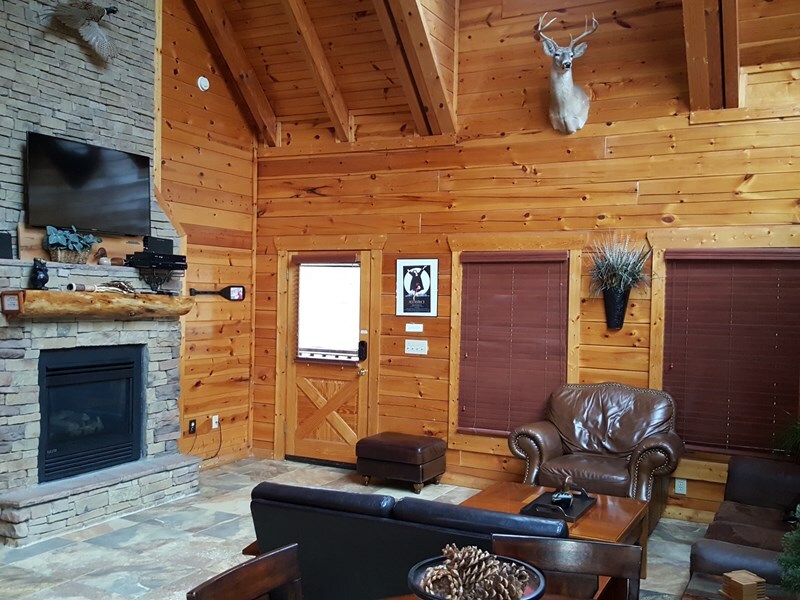 This area has all leather seating and a wall mounted 50” 1080p HDTV with a Sony bluray player, and a stacked stone gas log fireplace. 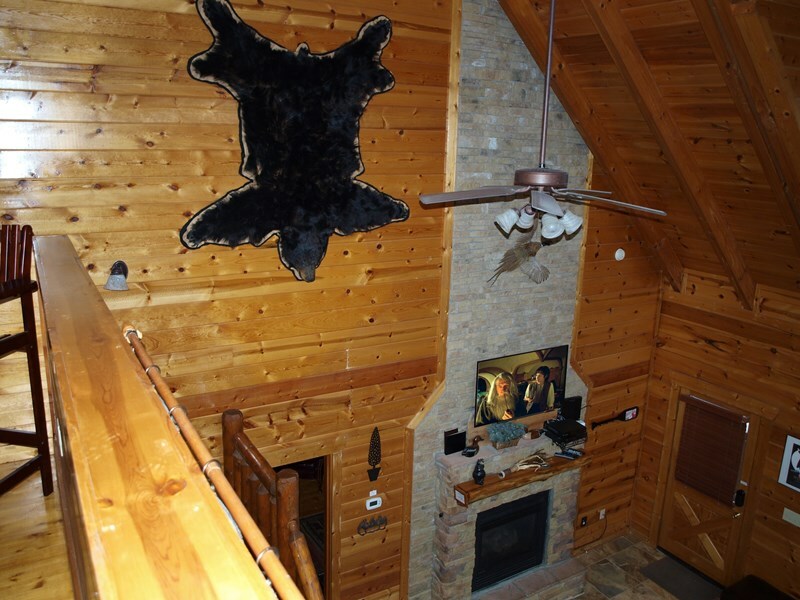 A giant black bear rug adorns the wall. There is a mahogany table which seats 6-8, a rattan table in the kitchen which seats 4, and a breakfast bar with seating for 2 . 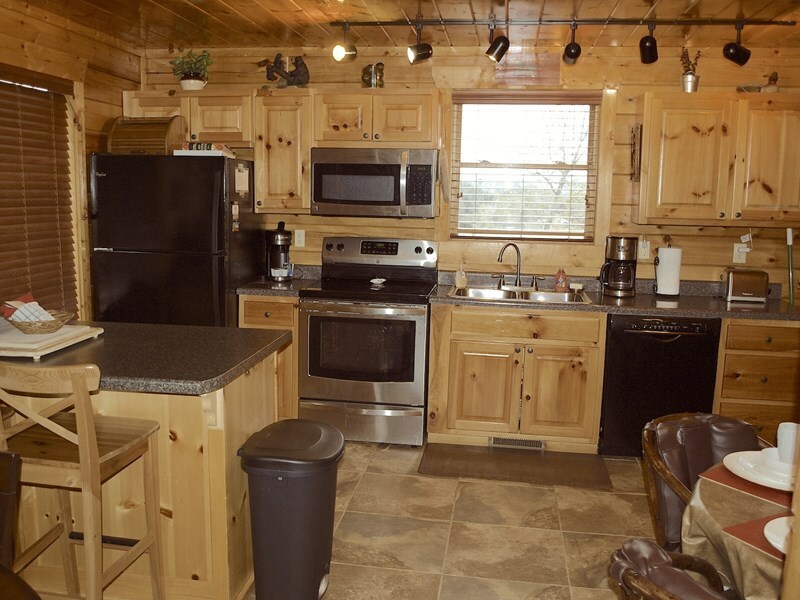 Kitchen is fully equipped, and opens to a private deck with rocking chairs to enjoy the stunning views. All new kitchen appliances late 2018 including Bosch dishwasher. In 2019, we added separate split hvac unit for upstairs bedroom. We now have 3 separate hvac units for your ultimate comfort! 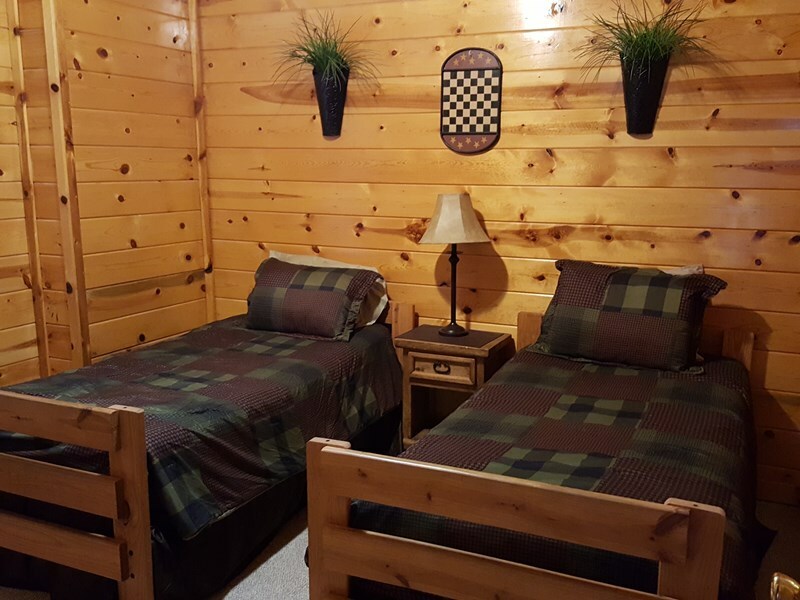 Oversized polywood picnic tables for outdoor dining complete the setting King Master bedroom suite on this main level features stacked stone gas fireplace, huge jacuzzi, 40” Smart Samsung HDTV and DVD/VCR player. This room also has an attached full bath. Upstairs has a billiard room with slate pool table, billiard seating and features 60 game cocktail arcade. There is a laundry room with commercial washer and dryer. A large bath is adjacent to this area. Upper Master King bedroom is located off the upper foyer. 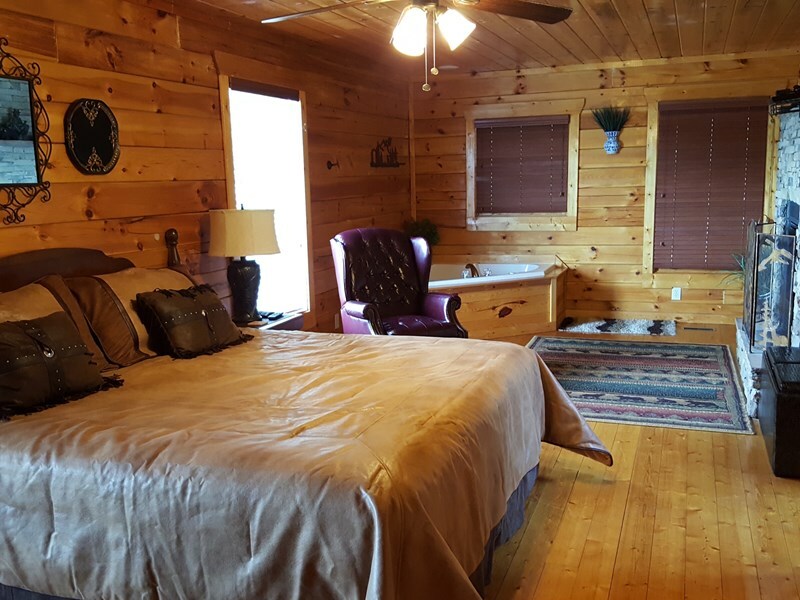 As with all the bedrooms, it is private and secluded. 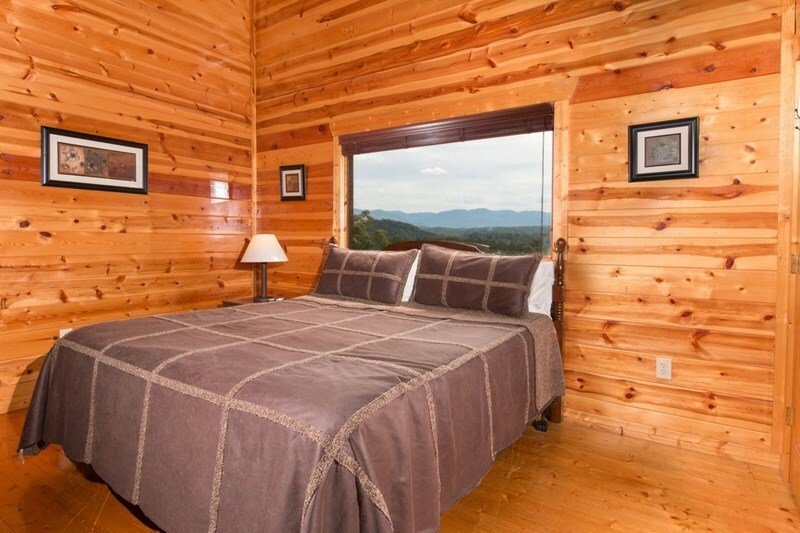 This bedroom offers a glorious mountain view, separate seating area with sofa, and a 32” flatscreen HDTV with DVD/VCR player. 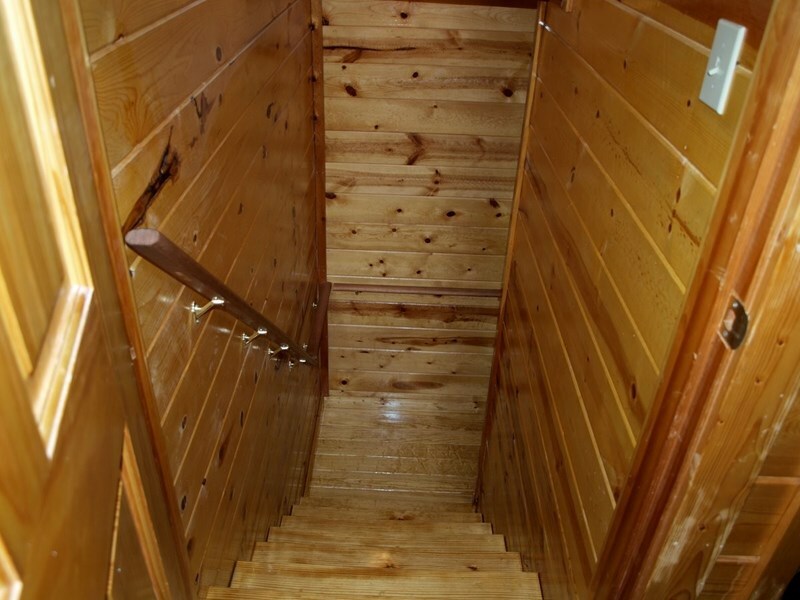 Access lower level down hardwood staircase. Theater room and hall feature over size porcelain slate look tile. 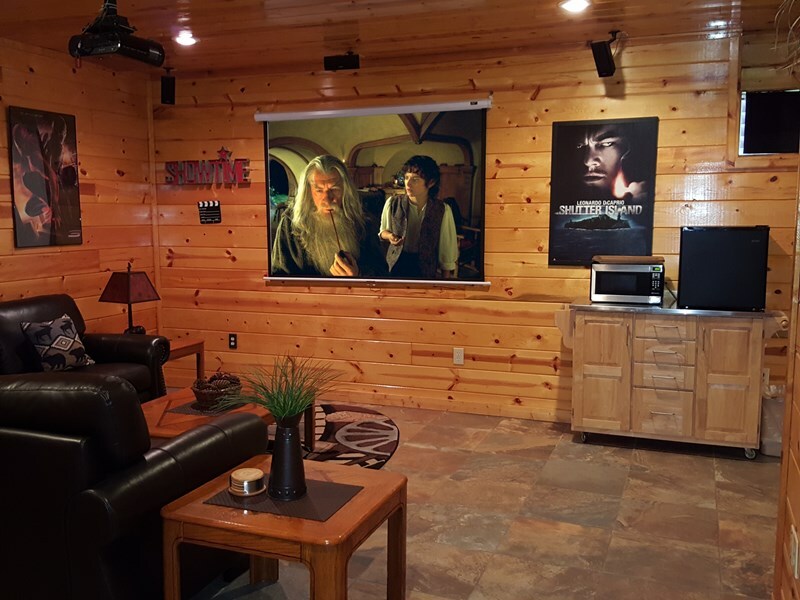 Located on the lower level is the spacious media room equipped with state-of-the-art 80” theater screen. It features Sony Bluray, and provides sharp images with stunning surround sound. 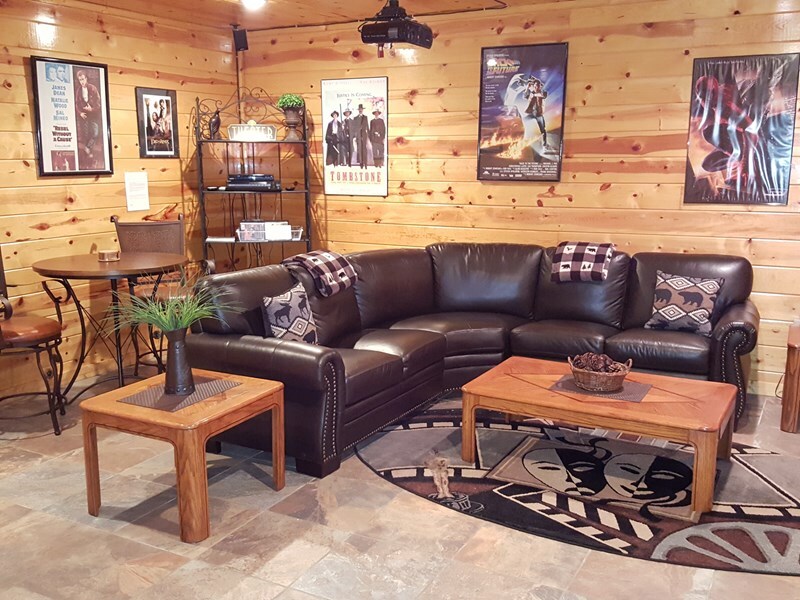 The theater room is furnished with leather sectional sofa, and offers a library of media for hours of family fun. 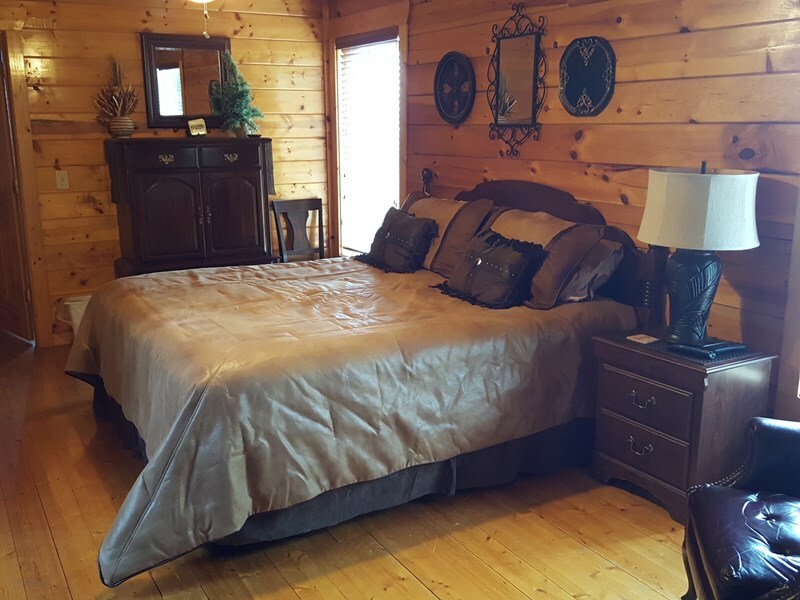 A Queen bedroom is adjacent to this room and has deck entrance leading to the hot tub, 2 seat bistro and polywood picnic table for 8. 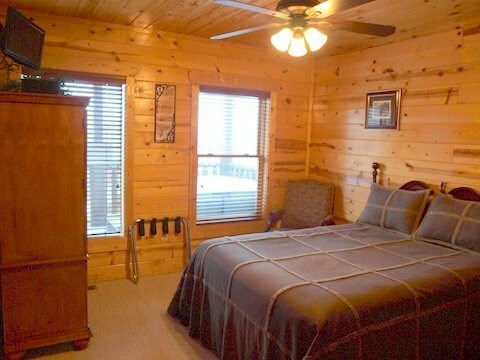 Another Queen bedroom has a scenic view, and is furnished with an armoire, as well as an HDTV with DVD/VCR. 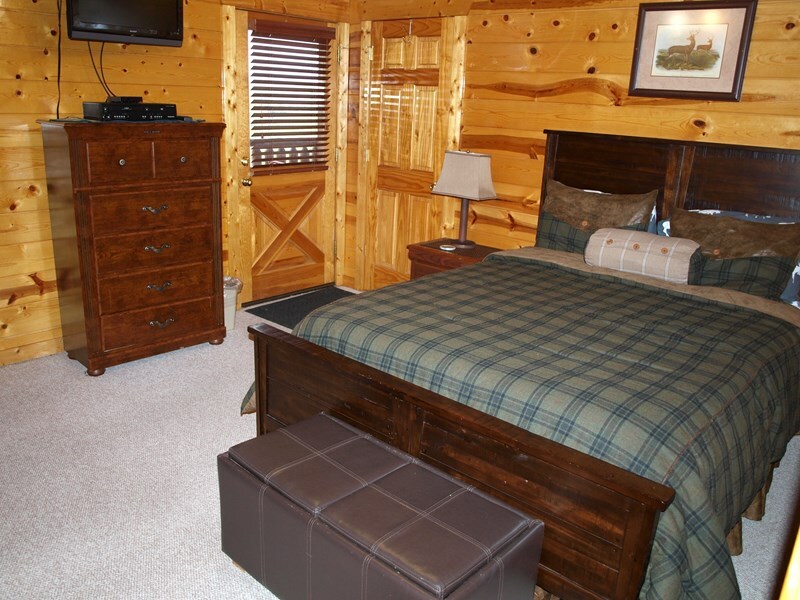 The third bedroom on this level has 2 rustic twin beds, with HDTV and DVD/VCR player. For added convenience, there is a spacious full bath easily accessible from all lower level rooms. 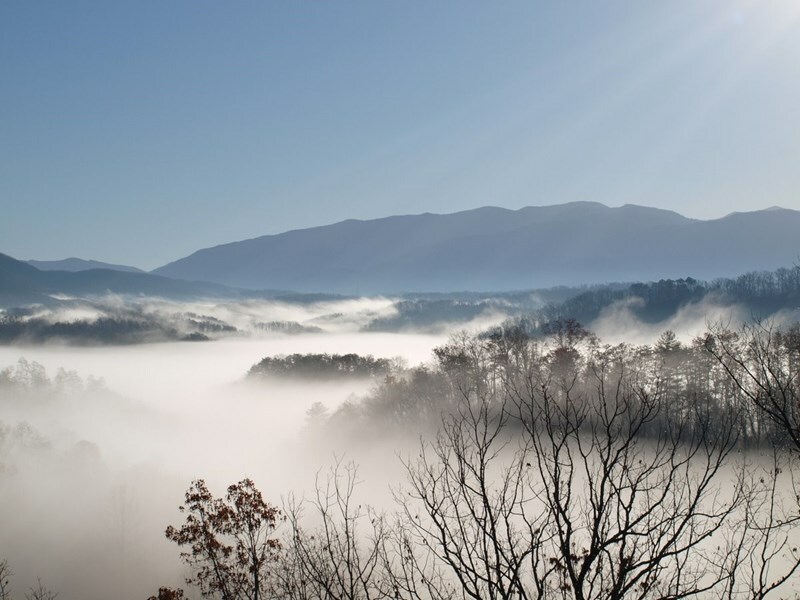 Enjoy the serenity of the mountains, yet only a short drive to the many shopping outlets, restaurants, and area entertainment. 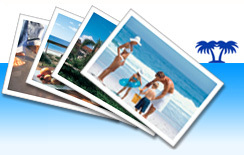 With a corner location in an upscale, gated resort, on paved roads, it allows easy access. 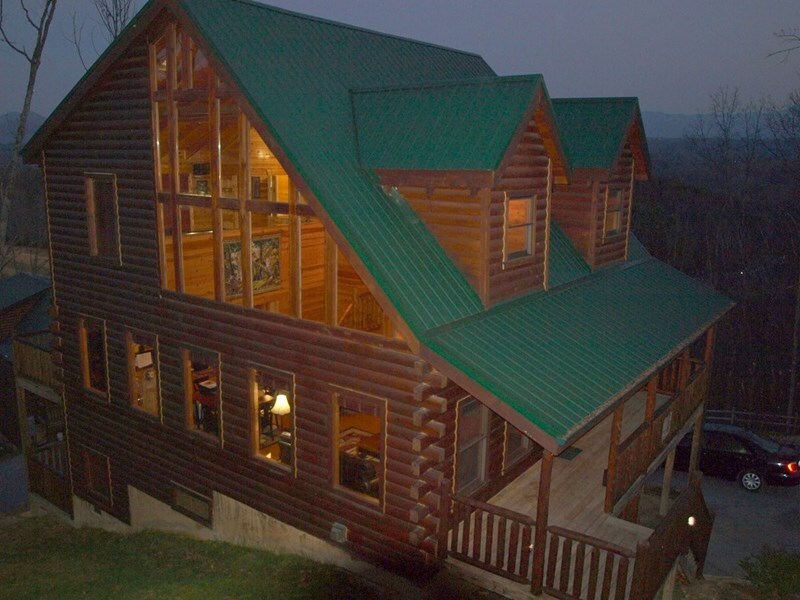 Both luxury and comfort have been combined in this mountain property, only minutes from the Great Smoky Mountain National Park. Welcome to MoonstruckLodge! !